When it comes to decorating, people often pose the same questions: Where do you start? How much is this going to cost? Decorating can feel overwhelming, but with some direction, you can get started. When updating your interiors, try "shopping" your own home and decorate with what you have first. You'd be surprised about what you have collected, and the consistency in the things you own. You may be drawn to certain colors or patterns, and it can often be reflected in your things. 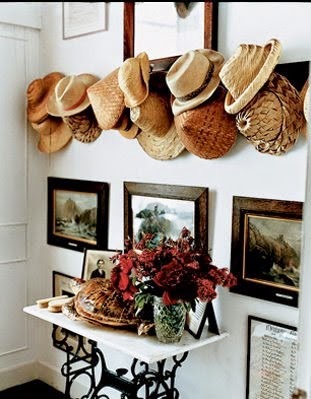 Scour your linen closets, dish cabinets, wardrobes, etc. It can give you the inspiration and direction you need to update your interior decor. Best of all, it will cost you nothing! 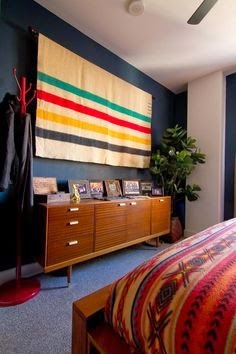 Hang a colorful blanket or quilt to make a unique wall feature. 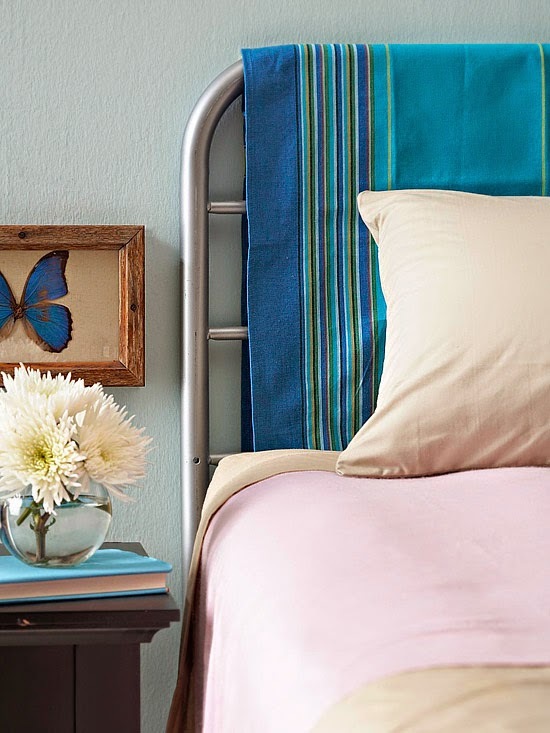 Drape it on an old headboard to give it an instant update. 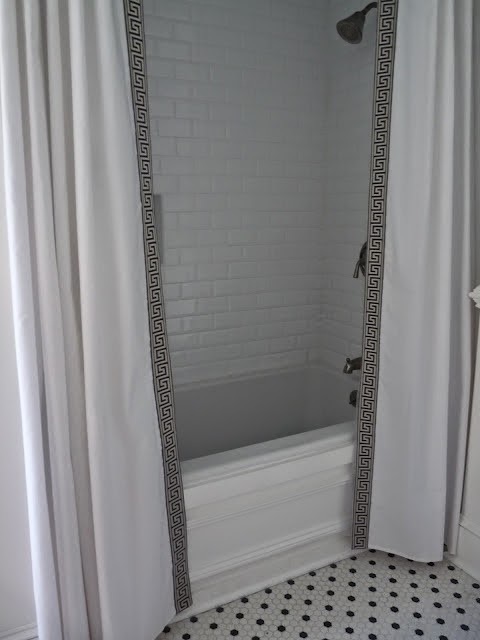 Turn unused bedsheets into a tablecloth, curtain panel, or even a shower curtain! Drape it on an old or tattered piece of furniture to cover up unsightly blemishes, or use it as a table or pedestal skirt to hide utility items underneath. 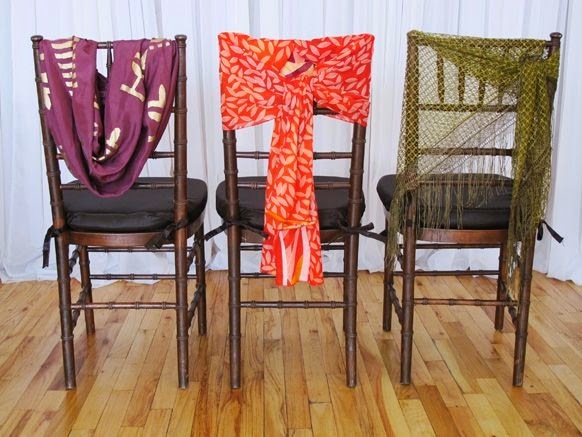 Liven up a chair with a scarf. You can also use a lightweight scarf as a curtain tie-back, or to "wrap" a pillow for an instant update. 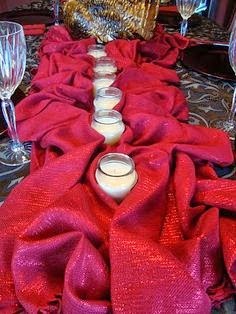 Long, oversized scarves could also be used as a table runner. 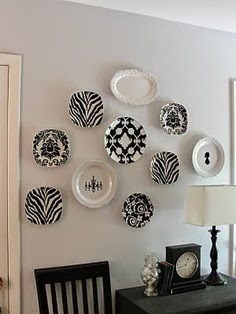 Cluster a group of same-colored plates and platters together for a wall display. 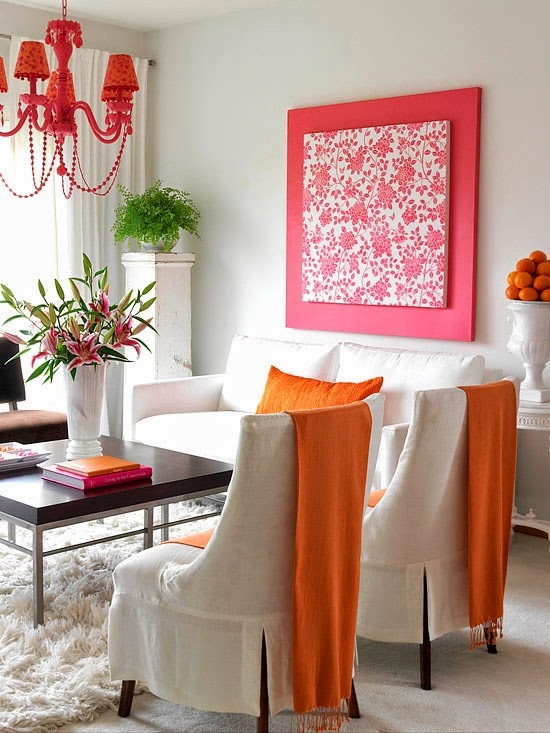 The unifying color will make a great focal point. 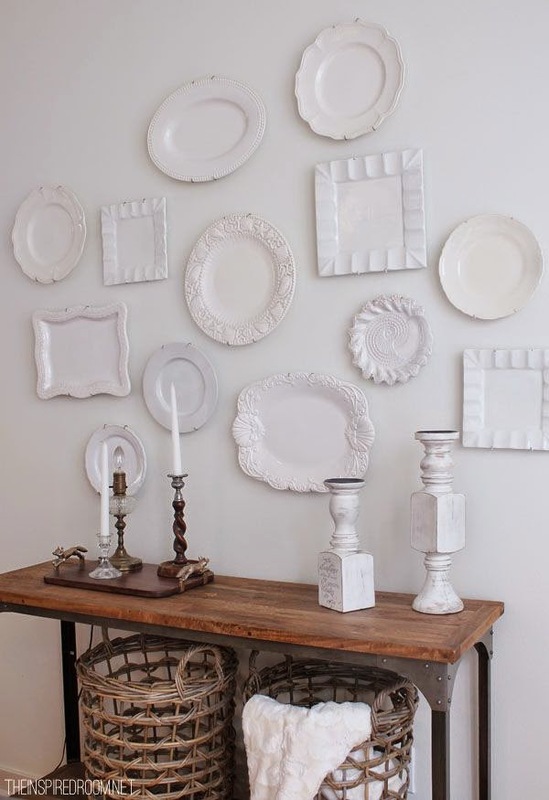 You can also group plates and platters with similar themes for great impact... or just mix and match dishes for an eclectic wall display! Need to fill up wall space? Hang your hats or baseball caps! 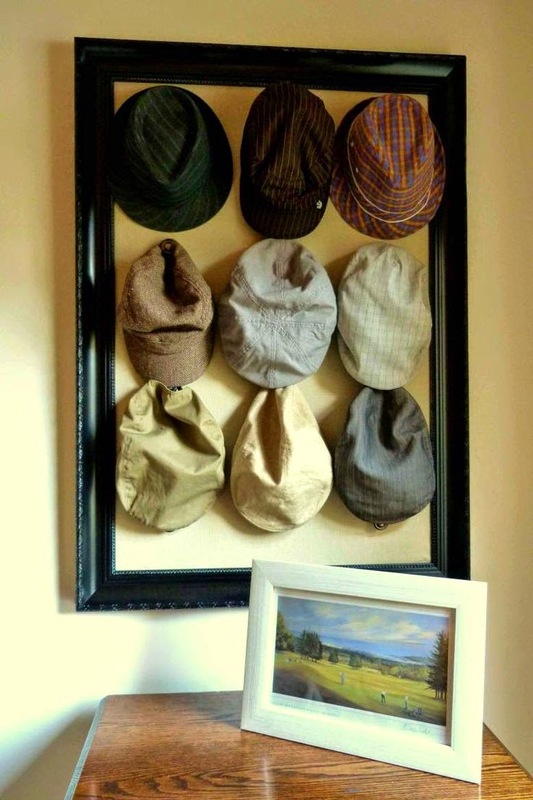 It makes for a colorful and dimensional wall display... and doubles as a storage solution. Read here for other budget-friendly ways that you can update your home decor!